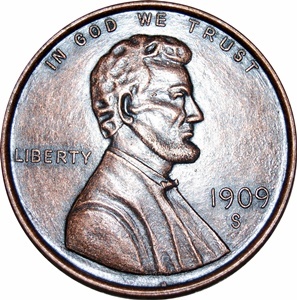 CoinTrapTM Commentary: The Lincoln Wheat Penny is beloved by many coin collectors of all stripes. Perhaps it conveys nostalgia of simpler times. Perhaps it is the comforting image of wheat wrapping around the sides like a cradle in which the United States of America is prominently situated. For whatever reason, the Wheat penny is a cent that has made its mark on time and will be forever collected and admired by thousands of people for generations to come. 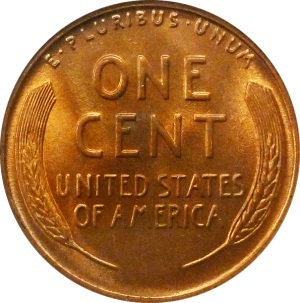 The Wheat penny was the first U.S. coin to bear the image of someone other than the mythical Lady Liberty. Public sentiment shifted from unease to acceptance in light of the celebration of the 100th anniversary of the birth of Abraham Lincoln; and so, it was determined to place a portrait of a singular person of U.S. history on the penny coin. Coin Value: What is the value of your Wheat Penny Cent coin? This can depend on a plethora of factors. Nevertheless, the main factors that will determine the value or worth of your Wheat Penny are these: (1) your coin’s grade, (2) finish, (3) the mint mark (e.g., S for San Francisco and D for Denver), and (5) scarcity/demand. Regarding your coin’s grade, it has become a standard in the field of numismatics (coin collecting) to grade coins on a point-scale from 1 (poor) to 70 (perfect). This is also referred to as the “Mint State” or just “MS” for short. Click here to find the up-to-date estimated value of your Lincoln Wheat Cent coin from the Professional Coin Grading Service (PCGS®), which takes the factors mentioned above into account*. If you do not know the grade of your Wheat penny coin, you can take it to your local coin dealer and ask that they have it graded at one of the three major coin grading services. Copyright 2011 CoinTrap.com. All rights reserved. Click here for terms and conditions. No legislation was required for the application of the new Lincoln Memorial Cent design, but rather, approval was given by the Secretary of the Treasury. Franklin MacVeagh, treasury secretary, approved of the design on July 14, 1909. On August 2, 1909, about three weeks later, the new coin entered public circulation.